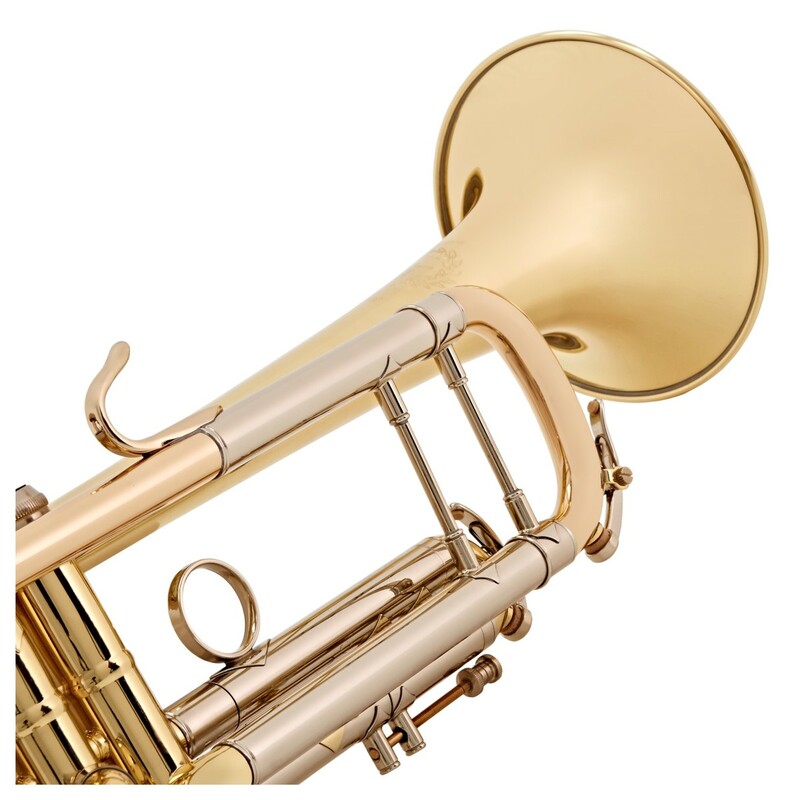 The B&S Challenger 1 Trumpet features a clear lacquered finish and gold brass leadpipe. 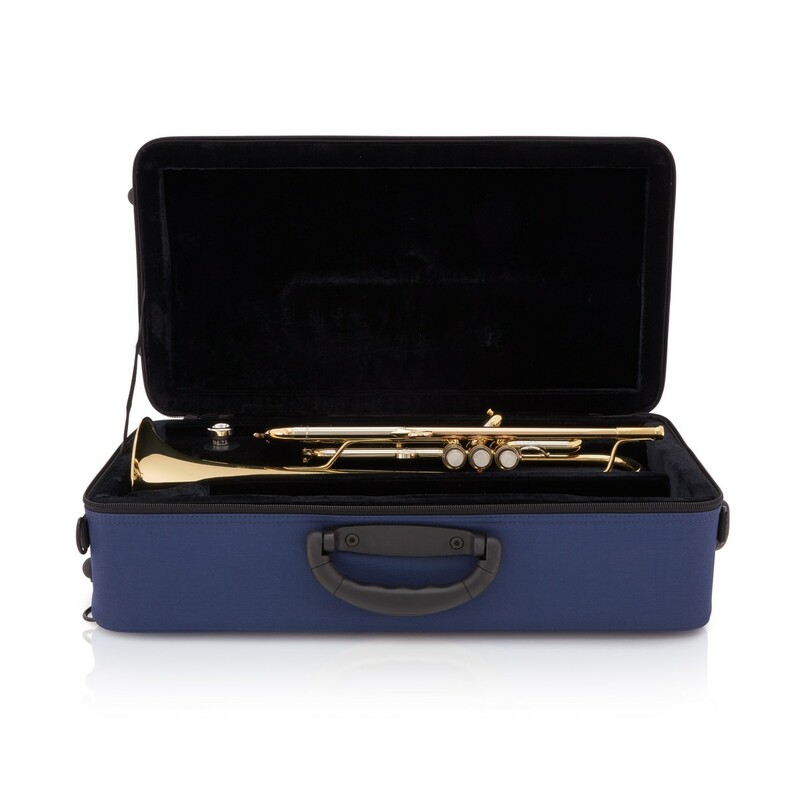 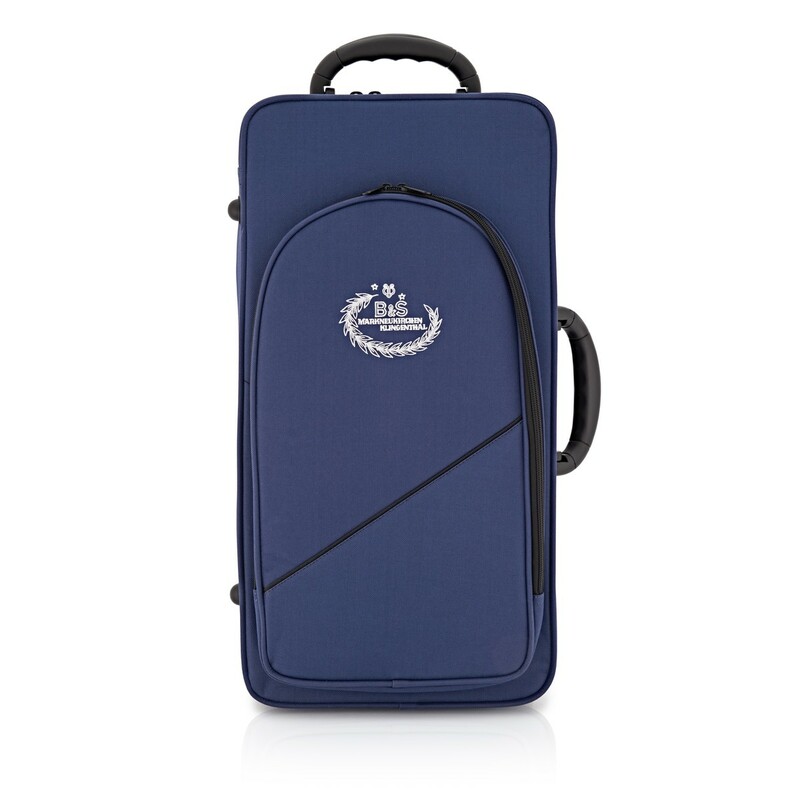 Suitable for advancing players and teachers, this model comes with a lightweight backpack style case and 1.5C mouthpiece. 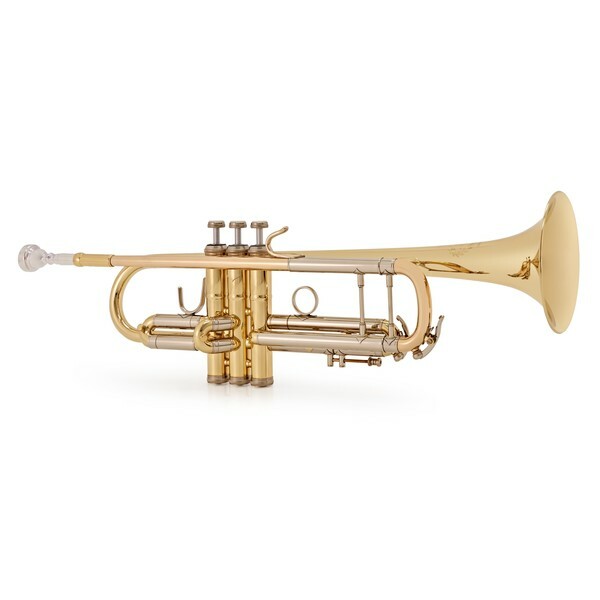 This model is a great instrument for those looking for something a professional instrument at an excellent value. 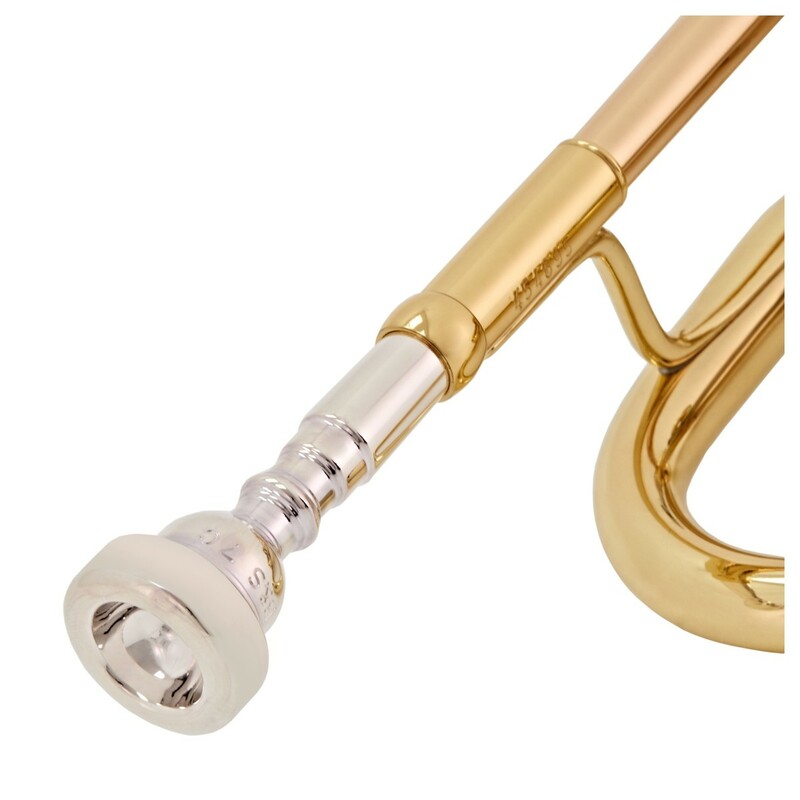 The Challenger is free-blowing with a sound that's warm and centered and has a classic design and quality construction from its well established maker in Germany. 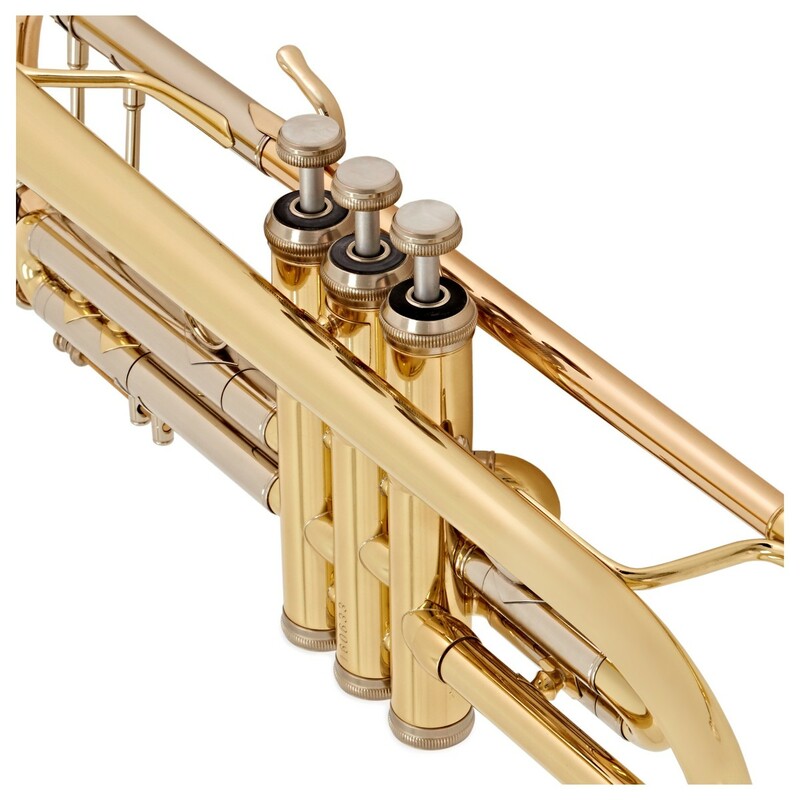 The B&S Challenger 1 is an affordable professional trumpet, ideal for students embarking on their professional career. Built in Germany with German design and German engineering, the B&S trumpets are built to a high standard. 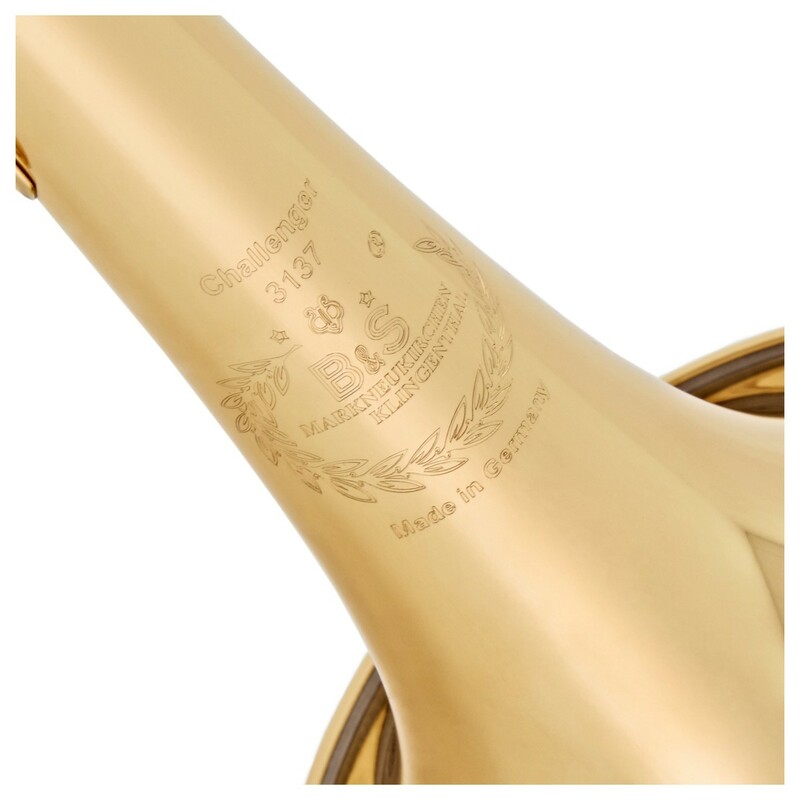 The clear lacquer on the Challenger 1 provides a warm and mellow timbre.